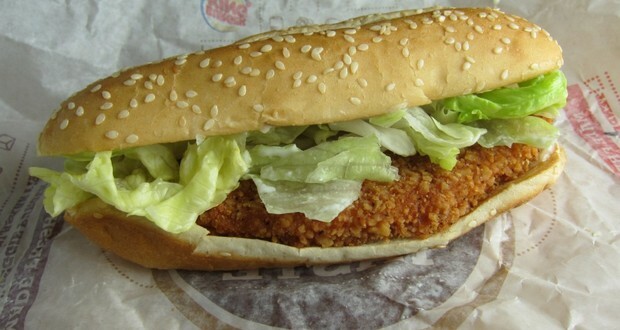 60% of the Fat and 31% of the calories in Burger King's chicken sandwich come from the mayonnaise alone. 2. The world has more than 50,000 edible plants, yet just three commodity crops such as rice, maize, and wheat, provide 60% of the plant-derived calories we eat. 3. Avocados contain more fat than any other fruit or vegetable. Also, the trees contain enzymes that prevent the fruit from ever ripening on the tree, allowing farmers to use the trees as storage devices for up to 7 months after they reach full maturity, allowing avocados to always be in season. 4. Broccoli, parsley, brussel sprouts, and red bell peppers all contain more vitamin C per 100g serving than oranges. Chili peppers contain 400% more. 5. Moringa tree leaves contain all of the essential amino acids, more iron than spinach, more calcium than milk, more Vitamin A than carrots, and their seeds have been shown to purify water! It has been proven that calcium supplements are not good for your bones without Vitamin K. Also, contrary to popular belief, milk is not the best thing for your bones. Foods that promote healthy bones are avocados, peaches, and bananas. 7. The skin of a kiwi is perfectly edible and is loaded with fiber and vitamin C.
8. The white spots on fingernails are called Leukonychia, and are harmless and most commonly caused by minor injuries that occur while the nail is growing. Contrary to popular belief, leukonychia is not a sign of excess or deficiency of calcium and zinc or other vitamins in the diet. 9. Vitamin A enriched rice developed nearly 15 years ago, could have prevented hundreds of thousands of cases of childhood blindness. It has never been used due to concerns over GMO foods. 10. Practically all animals make vitamin C in their bodies, so that they don't have to eat it. The exceptions are guinea pigs, fruit eating bats, the red-vented bulbul bird, and primates, including humans. There is a fruit by the name of Black Sapote or "chocolate pudding fruit" which tastes like chocolate pudding and is actually low in fat and has about "4 times as much vitamin C as an orange". 12. Consuming a polar bear's liver will kill you because of its toxic levels of vitamin A. 13. Scurvy was documented as a disease by Hippocrates, and Egyptians have recorded its symptoms as early as 1550 B.C. The knowledge that consuming foods containing vitamin C is a cure for scurvy has been repeatedly rediscovered and forgotten into the early 20th century. 14. Potatoes have a bad reputation, but are actually highly beneficial to your health. 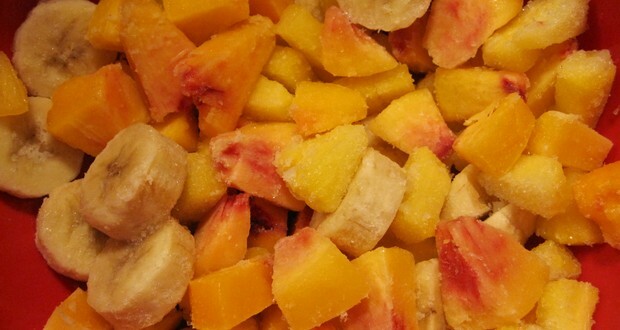 They are packed with Vitamin C, Potassium, Fiber, Vitamin B6 and kukoamines which help aid in lowering blood pressure. 15. Ingo Potrykus who is the co-inventor of golden rice (a genetically engineered, vitamin-A-rich strain of rice that could save millions of lives in developing countries), has called for his product to be distributed for free to poor farmers. Females on average have lighter skin than males so they can absorb more vitamin D and calcium used for breast milk. 17. Vitamins are so called because they are "VITal AMINeS" for your body. 18. Oranges are not even in the top ten list of common foods when it comes to vitamin C levels. 19. People who drink whole milk are less likely to be fat than those who consume low-fat milk. 20. There is a service in Las Vegas (Hangover Heaven) that will come to you and cure a hangover with iv fluids and iv vitamins. Major brain damage from alcohol can be prevented by proper nutrition and is not directly caused by alcohol itself. 22. Milk contains magnesium, calcium, vitamin B, and theanine, all of which can help lower anxiety and depression. 23. Numerous studies find no evidence for Vitamin C (or other cold supplements) reducing/preventing colds and flu. 24. A protein called TRPM8 is what causes your brain to think something is colder than it is after eating something with mint. 25. Due to their similar protein composition, blood can be used as an egg substitute in baking and making ice cream. Wow lol. It’s amazing that some of these were even thought of… Baking with blood! Fact 21 gives me hope though!